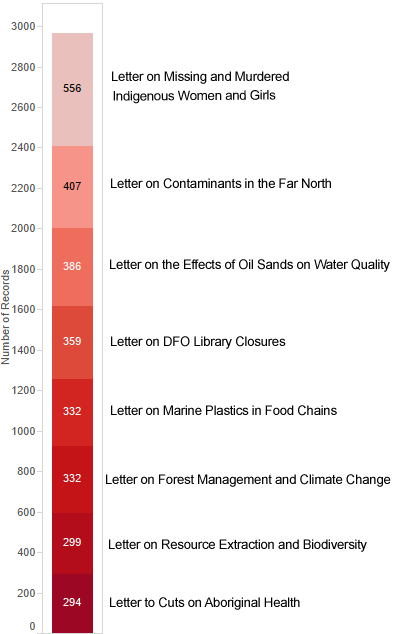 Since Write2Know launched on March 11, 2015, members of the public have sent over 4,900 letters to Canadian ministers and scientists asking questions about the health of their bodies, communities, and environments.The graph to the left shows the total number of letters sent broken down by the type of letter sent. The data visualization below shows the breakdown of where letters are coming from by province and state. You can add your signature to these letters here. This is an international issue. Canadian policies affect the circumpolar north, global climate change, Indigenous peoples across borders, and many more issues that affect people and environments worldwide. 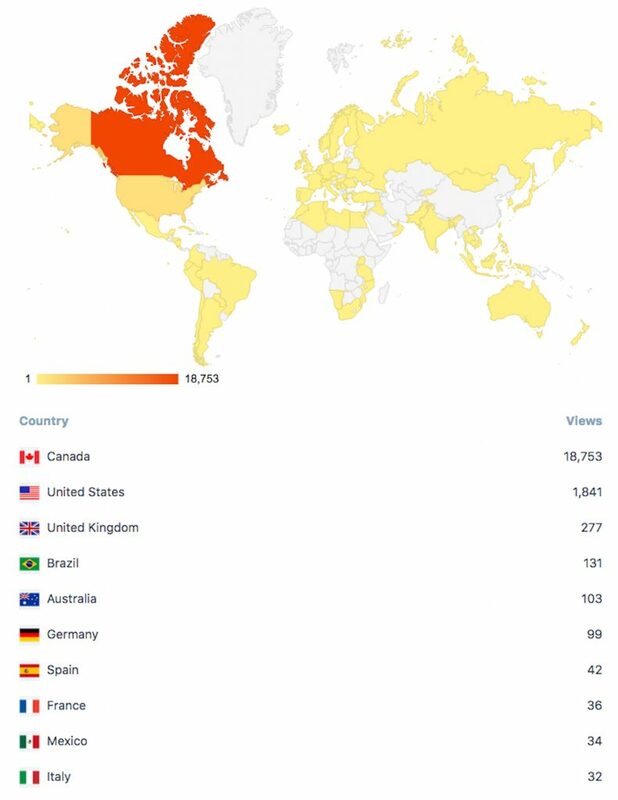 During the first month of Write2Know, people from around the world have been taking notice of Canadian policies impacting public knowledge. The graph below shows website visits for people who spent more than 10 seconds on a page. Many signed letters to send to Canadian ministers and scientists.